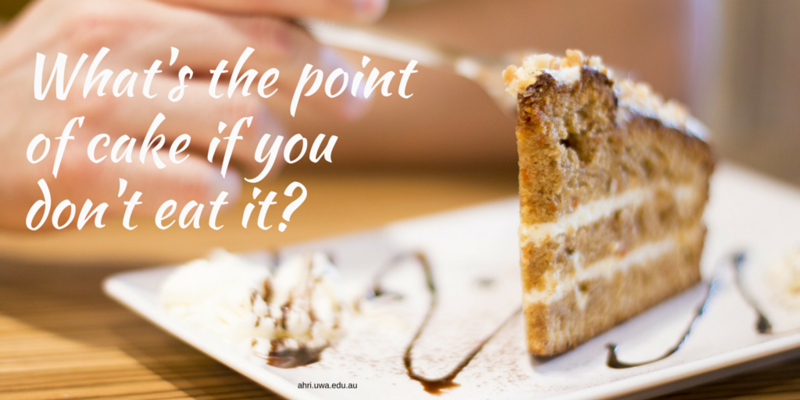 But what’s the point of cake if you don’t eat it? Ok, we’ve (deliberately) misinterpreted the saying here, but you get the drift. What is the point of doing research if you don’t tell anyone about it? A lot of money is spent on agricultural research, and we need this research to reach the farmer (otherwise, what’s the point?). Everyone’s time poor and, these days, we’re all bombarded with more info than ever. This means that good communication of this info is more important than ever. There’s more to communication than scientific papers and presentations. There’s a raft of activities going on behind the scenes to ensure that messages aren’t only heard, they’re understood and (hopefully!) adopted! For this edition of AHRI insight, we’re going to take you behind the scenes of our approach to communication and show you why we do things the way we do. 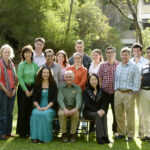 Why we start AHRI insight with quirky anecdotes. Why we use social media. And why we believe research projects deserve their own communication program. Once upon a time, we had the telephone and face-to-face meetings. Now we have a whole raft of communication channels. This is great because there are more ways to send and receive info, but it also means we’re all bombarded with a (seemingly) constant stream of information. So how do we cut through the clutter and succeed in a crowded space? People want to be entertained. Do you have an email newsletter that you always open, as soon as it comes in? Why do you open it? Chances are it’s entertaining and/or makes you think. The bible of the AHRI communications team is the book ‘Made to Stick’ by Chip and Dan Heath. This book explores why some ideas thrive while others die. They came up with the SUCCES formula to make ideas stick. The quirky anecdote is unexpected, and when done well, it also contains some of the other elements of the SUCCES formula. It’s also great fun to write. The Gut: intuition – intuitive decisions are usually right if they ‘feel’ right. 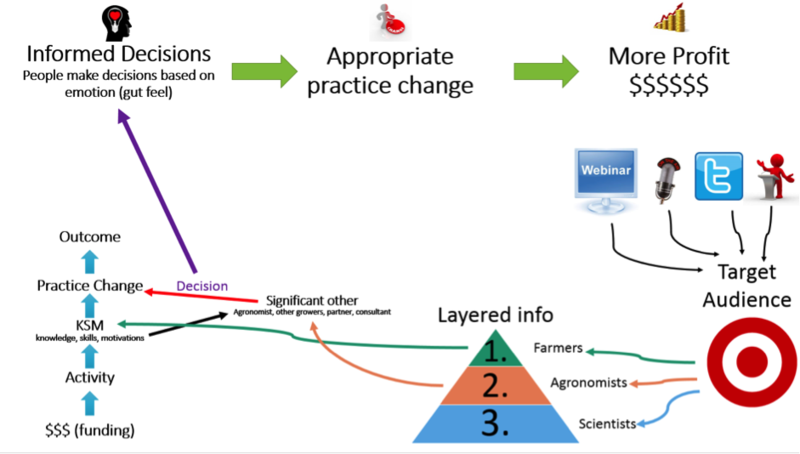 Lots of communication of ag research starts and finishes with logic. This is a flawed approach because it forgets that we all make decisions based on emotion, and then justify them with rational arguments. Think back to a big life decision that you have made in recent years. What was it that finally tipped you over the edge to make the decision? Was it the logic or did it just feel right and the logic helped you rationalise it? Does it feel right to have narrower row spacing to compete with your weeds because whenever you have seen a blocked row the weeds grow like Trifids? Good, because the data says the same thing. Don’t ignore the heart and the gut. Part of our communication process includes champion growers sharing their stories. This began when Dr Michael Walsh took Ray Harrington, Lance Turner and Rod Messina on the road to speak about their experiences with the HSD, chaff carts and narrow windrow burning. They didn’t know it at the time, but these growers spoke from the heart and the gut and told stories of their experiences and WHY they do things. We’re forever grateful for the help from these growers and others like them. They help many growers make the right decision for them. Bill Long is another ag consultant who knows a thing or two about ag extension theory (in fact, he did his masters on it). Bill has a lot of good theories, but the one that has stuck with us is the role of the ‘significant other’. A standard, linear extension model looks something like this. But we know that not too many growers walk out of the workshop about chaff carts and go straight to the machinery dealer and buy a chaff cart. Bill believes that there’s another (very important) link in the chain. After the chaff cart workshop, if a grower likes the sound of what he’s heard, he’s has a chat with a ‘significant other’ (or two) to help him make a decision. This means that the information we deliver needs to reach people sitting at various points along this chain. So how do we this? Because our audience is so varied (from grain growers, to agronomists to research scientists), we layer our info so each layer is targeted at a certain portion of that audience. We know that grain growers have a lot on their mind, which is why they outsource some thinking to experts such as agronomists, consultants, grain marketers etc. An agronomist, who specialises in weed control, is likely to want a deeper understanding of herbicide technology than most grain growers (since it helps them understand what they see in the field). We layer information so people can dig as far as they like. For example, for AHRI insight the first layer is the email, the second layer with a bit more science / detail is the website content (what you’re reading now), and the third layer is (usually) the scientific paper. There are so many ways we communicate these days (for us, it’s email, website, twitter, presentations, WeedSmart, webinars, video, media) so it’s important to know which platforms to use and how to use them. It’s not just about sharing info… it’s about deciding the BEST way to share it. The term “stay native to the platform” is one that AHRI communicator, Brogan Micallef, uses often. By this she means that we need to remember which platform we’re using when we choose the language / style etc. of the information. For example, Twitter should be treated as a cocktail party where you move from group to group talking to people about stuff. If you all you do on Twitter is post links and never discuss things with people this is like walking up to a group at a cocktail party, making a statement and then walking off. There are names for people like this! We also have names for people who only talk about themselves – remember the “social” in social media! We need a reason to use all of these platforms and we need to use them in the appropriate way (and not just for the sake of it). Some are used to gather more subscribers, some to discuss concepts, and others to act as a repository for information. They’re all important and they’re all linked. The image below best describes how it’s all linked for AHRI communication. We use events such as presentations, radio interviews, Twitter and webinars not only to give out information but also to capture subscribers. 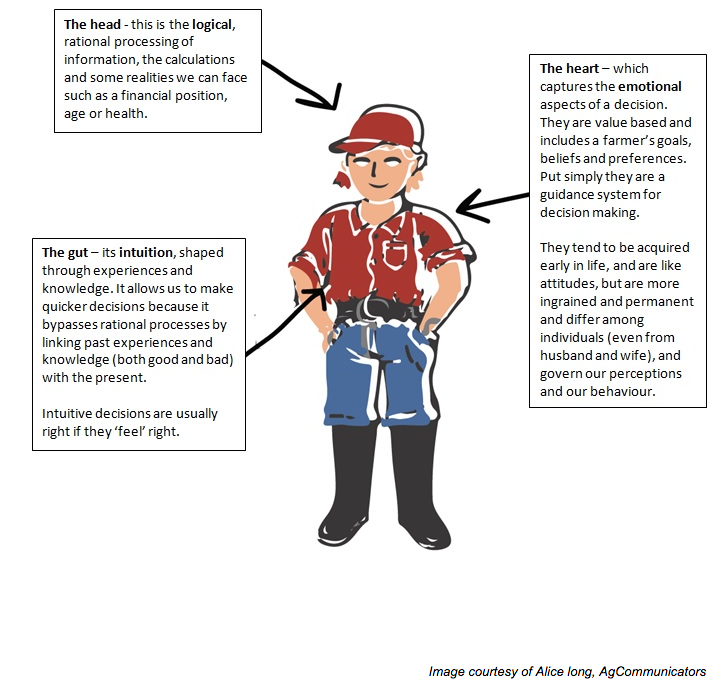 To these subscribers we send layered information, using the SUCCES formula to ensure that both farmers and their significant others are informed so that the best decisions can be made. 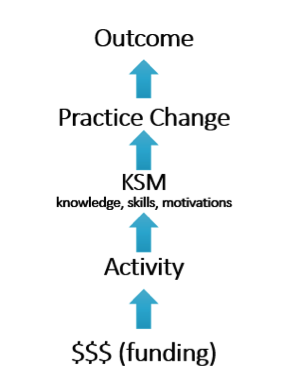 If we get all of this right, then we’re on the way to facilitating practice change that delivers more profit to grain growers, sustainably. There are a few key words that sum up the information above. Filter: it’s our job to filter all of the information out there and then deliver it in a way that makes sense to the audience. We must give the audience what they need, not just what we have! Linked: everything is linked. We need to join the dots between communication platforms and between people. Focus: by focusing our efforts on communication we can do it justice. Our communication is not tacked onto a research program, it is a program. SUCCES: when we use the SUCCES formula developed by Chip and Dan Heath, we appeal to the heart and the gut rather than just the head and we create stories that stick. 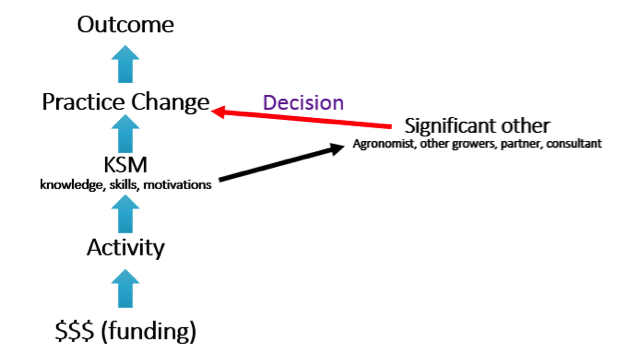 If ag research is to have an impact it must be communicated. We believe we’ve developed a winning formula and we would love to see other research programs invest in the art of communication. It’s well worth the effort.